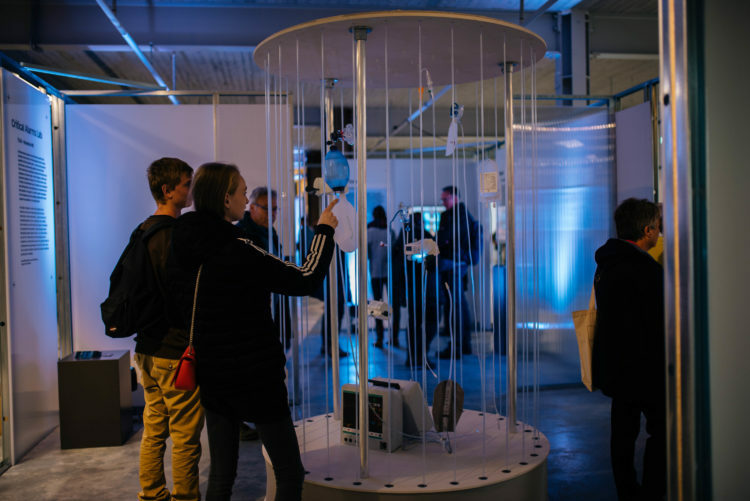 By being part of the exhibition Embassy of Health: ‘Chronic Health: If not us then who?’, we let people experience the current cacophony of intensive care sounds and how our designs could make a difference. All those beeps, bleeps and other alarm sounds in the intensive care unit are of vital importance. But the sheer quantity of them causes stress – not only among doctors and nurses, but also among patients and their family. That’s why they are sometimes switched off. Moreover, the cacophony of sounds leads to alarm fatigue, in which case important signals are missed. 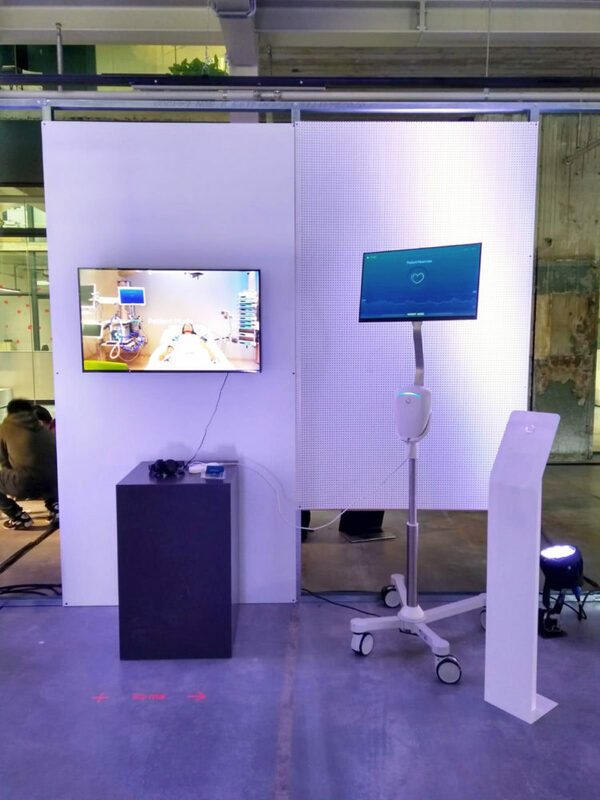 Our international team of students and researchers are working with care professionals and manufacturers to find solutions, of which three of them were shown at the Dutch Design Week 2018. The goal is to create a calmer atmosphere in the intensive care unit, allowing medical staff to work properly and patients to recuperate well. More pictures can be found on our Facebookpage. CareTunes offers a pleasant alternative to the noise of distracting peeps and buzzes. Instead, a nurse listens to soothing music through an earpiece. Each patient has their own tune. As soon as someone’s condition changes, the nurse hears it in the music. For instance, an increased heart rate can alter the percussion rhythm, the blood pressure can be heard in the notes of the organ, and the oxygen saturation influences the sound of the guitar. As soon as vital thresholds are reached, the chords go wrong and the piece sound off-key, something that the listener cannot fail to hear. 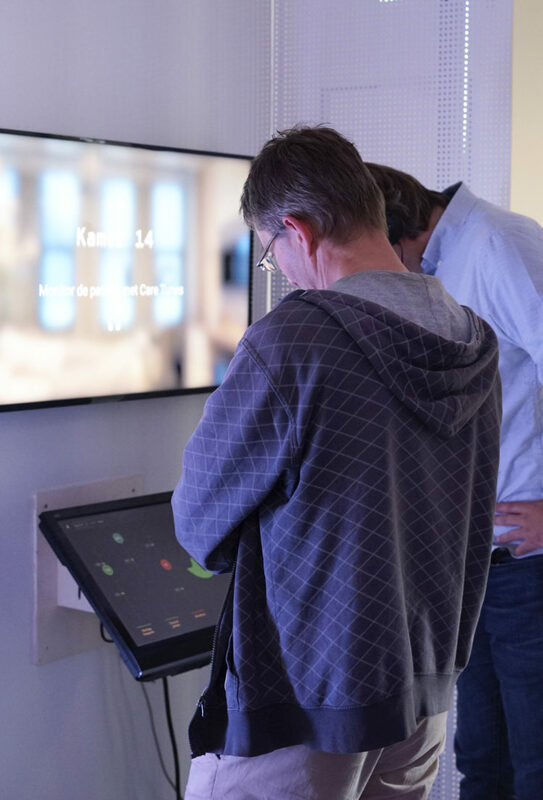 Care Tunes is developed through an iterative design process in collaboration with US partners (Sen Sound and Vanderbilt University MC) and highly based on actual sound experiences of nurses working at Erasmus MC. Nurses revealed that alarms carry quite a low level of information and that they have different personal preferences when setting boundaries for their alarms. If alarms are set to narrow limits for reaffirmation, more alarms go off quickly, creating cacophony. CareTunes challenges the existing norms for alarms and calls for daring and fresh design solutions that are beyond classical views on what alarms should be like. CareTunes is a wake-up call that critical alarms can be beautiful. Patients at the intensive care are often deprived of sleep because of all the environmental noise – not only from equipment but also from nursing staff. 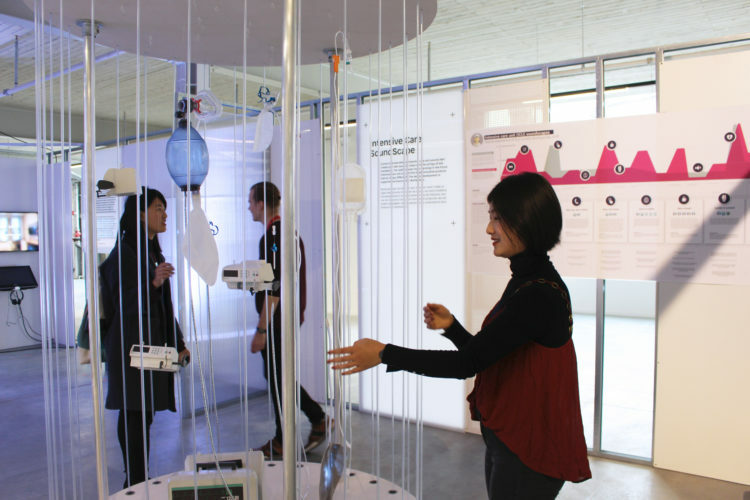 Doplor offers a creative way of showing everybody in the intensive care unit when sound becomes of nuisance. 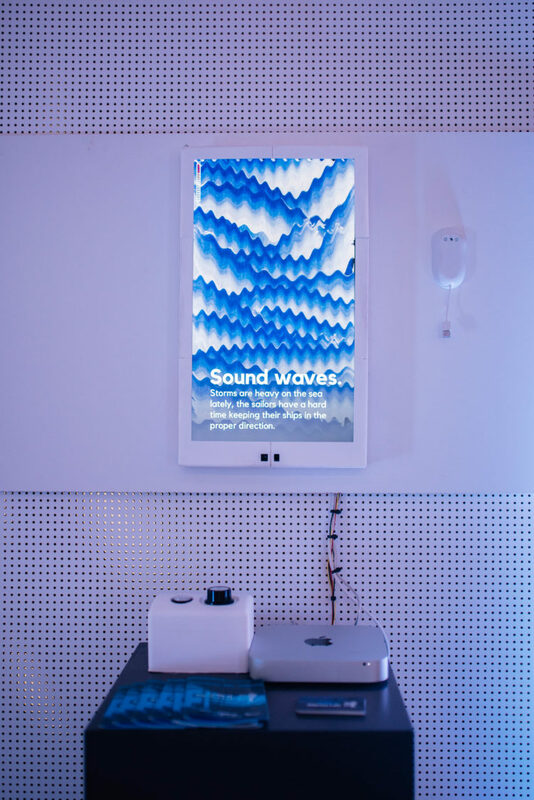 Everything that can be heard is registered and translated into an interactive painting. The painting will symbolically show growing waves and deeper darker colours when sounds reach disturbing levels. By making medical staff aware of the sounds and behavioural patterns that cause noise, the sound levels should decrease gradually. Patients will naturally be allowed to get in a deeper stage of sleep. When it's silent in the room and nurses can just continue with what they're doing, Doplor shows the nurse "everything is okay"
When the sound level is high, but it’s acceptable because of an emergeny, Doplor tells the nurse "don't worry"
When nurses just keep on talking for example, Doplor changes into dark colours and fast movements: nurses should “worry a lot"
My aim was to design something that could lead to a behavioural change within the intensive care unit, to restore a peaceful environment for patients to recover in. Monitoring devices are designed to be a crucial work tool for medical staff at the intensive care unit. Patients and their families are involuntarily exposed to this visual and auditory information while they lack knowledge to interpret or act upon it. This leads to stressful situations for families and disturbing experiences for the patients, especially when clinicians are not present in the room. UltiMo is a smart monitor that adapts to the people in the space. Is the patient alone? The UltiMo enters silent mode, with no alarming peeps, bleeps or diagrams that you’ve no idea how to interpret. 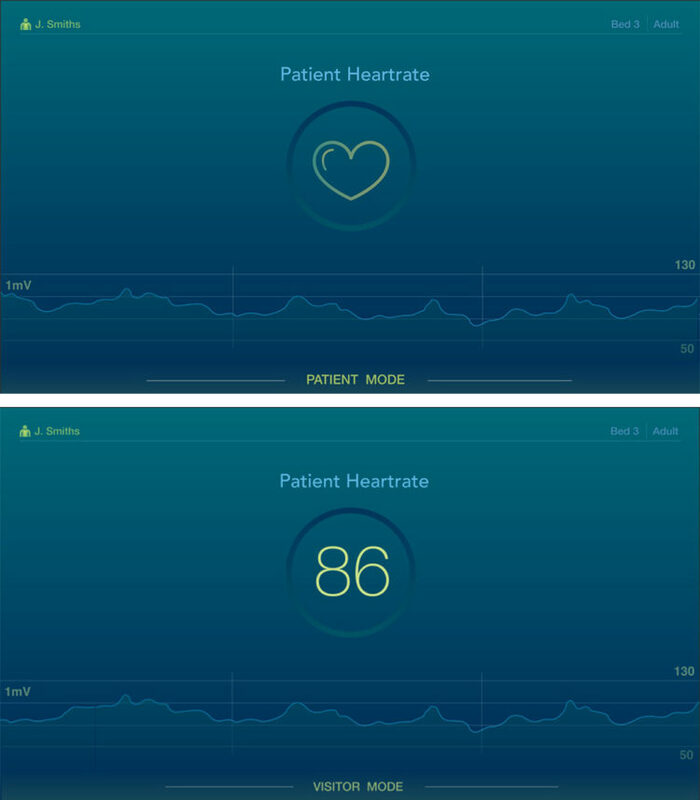 During visits the screen shows a little more: a simple indication of the heartbeat, for example. Information that might cause stress among non-professionals is shown only to nurses who can take action. A Bluetooth beacon on their pass activated all vital functions and sounds. Our biggest challenge was to cater to the different user needs. 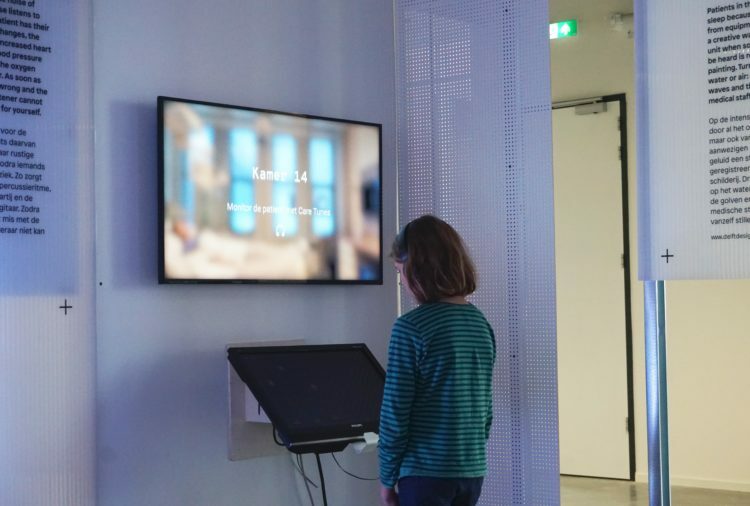 Clinicians and visitors enter a patient room multiple times a day and both have different needs in terms of what is shown on the screen of the patient monitor. We were featured on 2 Dutch radio channels: NPO Radio 1 and BNR Newsradio! 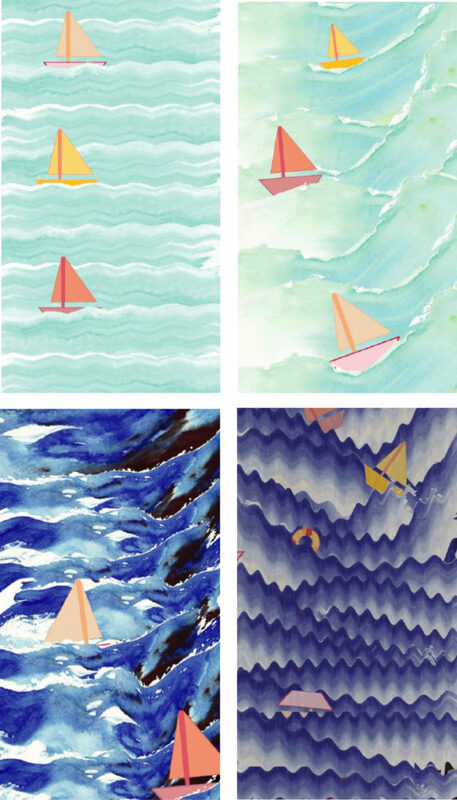 Jimena Gauna made beautiful pictures of the Embassy of Health Exhibition and our products.